The Syon Abbey Society is delighted to be co-sponsoring with the Vernacular Devotional Cultures Group a paper session on “Syon Abbey and Its Associates” at the next Kalamazoo Medieval Congress in May 2017. Please see below for full call details, as well as the other 2 sessions organized by the Vernacular Devotional Cultures Group. Please send abstracts of no more than 300 words and a completed Participant Information Form to the co-organizers of your selected session by 15 September 2016. Electronic submissions are preferred. Details of the session topics and co-organizer contact information are found below. Please send general inquiries and requests to join the listserv to Cathy Grisé: grisec@mcmaster.ca. In the second half of the thirteenth century, the female monastery of Helfta played a significant role in the cultivation of Western European mysticism. The circle of nuns comprising three visionaries and their abbess—Mechtild of Hackeborn (1240-1298), Gertrud the Great of Helfta (1256-1302), Mechtild of Magdeburg (1207-1282/94, a beguine who joined Helfta later in life), and Gertrud of Hackeborn (1232-1292, Abbess of Helfta and sister of Mechtild), respectively—were responsible for several important visionary treatises (including Liber Specialis Gratiae, The Book of Special Grace, and Das fließende Licht der Gottheit, The Flowing Light of Divinity) that defined German mysticism for their time: for example, they developed nuptial mysticism using imagery of holy women as Brides of Christ, and dedicated themselves to the Devotion of the Sacred Heart as part of their active program of female education, piety, and community. This interdisciplinary session will allow scholars and students to showcase recent research on the Helfta nuns and explore how these holy women expanded and changed traditional paradigms, as well as to compare this material with that of other late-medieval mystics. Please send abstracts of no more than 300 words and a completed Participant Information Form to the co-organizers of this session by 15 September 2016. Electronic submissions are preferred. The Syon Abbey Society and the Vernacular Devotional Cultures Group invite paper abstracts for its joint session “Syon Abbey and its Associates” which treat any aspect of writing associated with the intellectual and spiritual culture that flourished at the abbey. Syon’s reputation as a stalwart centre for orthodox reform and prolific source of vernacular devotional writing since its foundation in 1415 has been well-documented and long-recognised. This session seeks to examine the channels of connection beyond the convent walls, both in terms of the abbey’s impact on contemporary thinkers, patrons, printers, and lay readers, as well as the influence—material and spiritual—the world beyond its walls may have exerted on the abbey. A nodal point for high-ranking aristocrats and intellectuals in late medieval and Tudor England, Syon attracted a diverse body of individuals ranging from Margaret Beaufort and Katherine of Aragon to Richard Pace, Thomas More, and John Fisher. These connections are often noted but seldom explored. How, for example, were ties forged and maintained between the Birgittine community, secular elites, printers, and the reading public? For over a century, Syon both ministered to and depended upon a vast network of lay support for its pastoral initiatives and its commitment to reinvigorating—and, finally, preserving—monastic life. This session aims to probe the nature of this long-nurtured relationship between the spiritual and the secular which accounts for the formidable authority and longevity of Syon Abbey. Papers may address the movement and circulation of books to or from the Abbey; consider particular relationships between authors or patrons on either side of the convent walls; or examine specific texts or translations associated with the abbey for traces of broader associations. Any and all disciplinary and methodological approaches are welcome. Please send abstracts of no more than 300 words and a completed Participant Information Form to either co-organizer of this session by 15 September 2016. Electronic submissions are preferred. 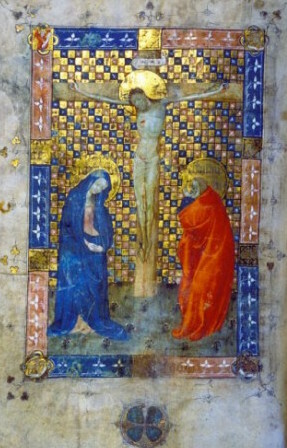 The pseudo-Bonaventuran Meditationes vitae Christi (MVC) is considered the single most influential devotional text written in the later Middle Ages. This paper panel will explore how the textual tradition of the MVC and related gospel meditations fostered creative forms of imitating Mary, or imitatio Mariae. While imitatio Christi has received scholarly attention, imitatio Mariae merits more fruitful consideration – especially as it compasses texts and images that engage both laity and religious in imitating the Virgin’s virtues. This panel will focus on performative rituals and texts used to recapitulate her life events, such as the Annunciation. How did imitatio mariae enrich the “devout imagination” of the faithful? How did readers perform Mary’s own performance of speech, silence, and prayer? We hope to solicit abstracts that tap into the variegated traditions of the MVC from across Europe, in Latin and multiple vernaculars.